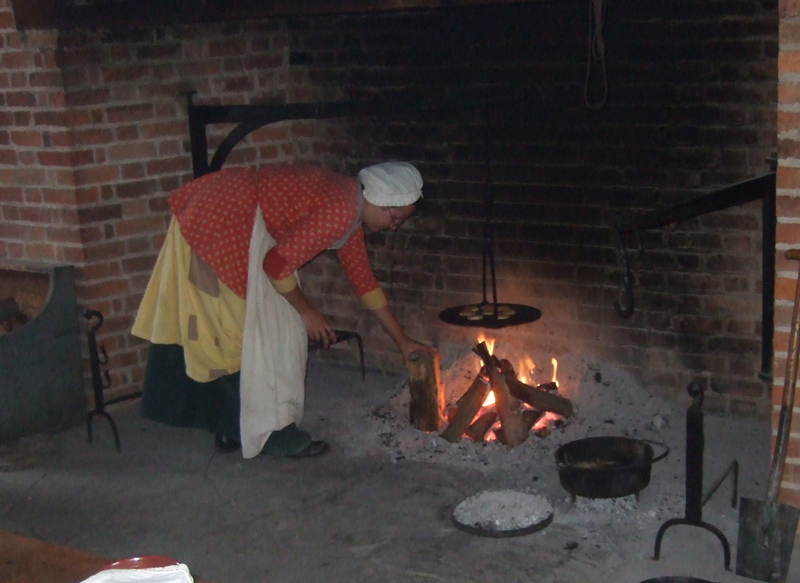 This entry was posted on March 12, 2014 at 8:06 pm and is filed under Caroline Abbott books, FOODWAYS, Fort George National Historic Site of CA, Old Fort Niagara, Old World Wisconsin. You can follow any responses to this entry through the RSS 2.0 feed. You can leave a response, or trackback from your own site. Fascinating! Baking is so much easier now & that’s good for me! Yes, I think about this process sometimes when I pop a pan of muffins in the oven! Take care and happy baking. Really fun to read about this and the photos were wonderful. Thanks. Thanks for stopping by, Rosi! I feel sure that it was an art form baking and learning to use this type of oven to get the most out of it. I am completely in awe of how they knew the temperature yet had no thermostat!! We are becoming so lacking in knowledge and intuitive work.Thanks for posting this. Is it your job/ are you a volunteer at the farm? Some women could open the oven door and stick their hand in for a few seconds, and know if it was hot enough. I’ve also read that some tossed a bit of flour on a clean bit of the oven and would watch to see how fast it scorched, which would let them know how hot it was. Experience, experience! 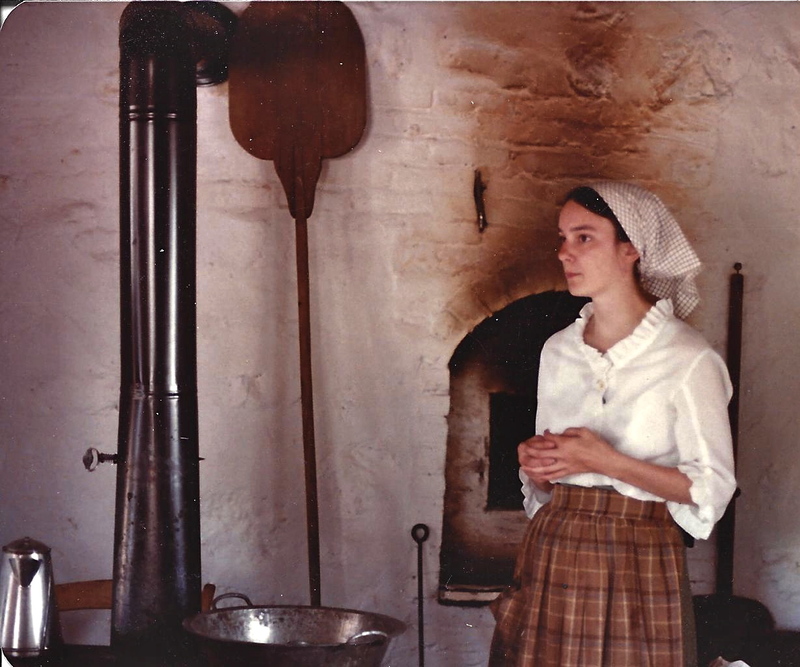 I used to work at a large living history site called Old World Wisconsin, where I gained a lot of first-hand experience with historical processes–although never, of course, to the degree that those 19th-century immigrant women did! 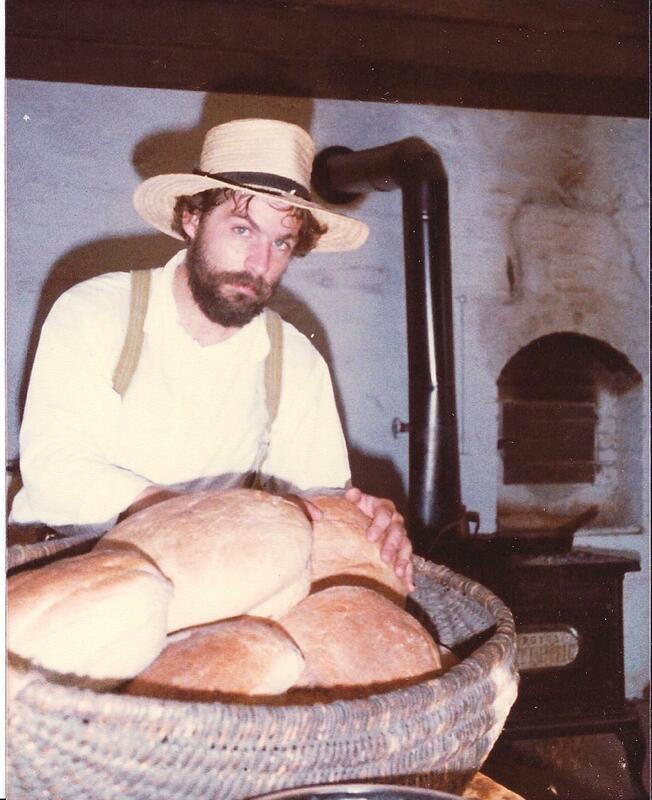 Two of the farms I worked at had brick bake ovens. One was located directly above the cooking fire, which was difficult. The one in the pictures was larger, and also much easier to use because we had easy access to it. Now that I write about history, instead of demonstrating, all those experiences really help a lot! What an interesting job. I am also interested in history and immigrants experience. If you are in Wisconsin, were any of the immigrants Scandinavian? If so, they may have had a rosemaled trunk. ?? ( my passion is rosemaling and history). 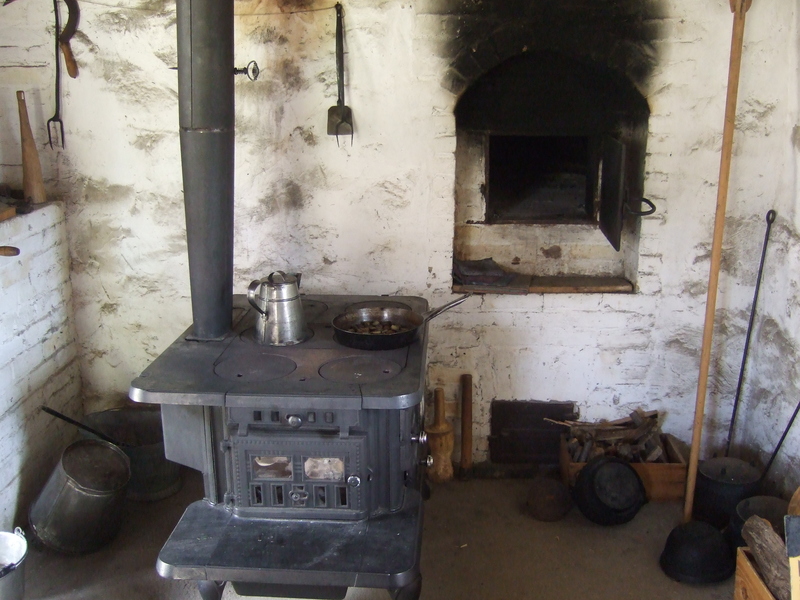 My grandmother was an adept one at the hand test on a wood burning oven. Such skill!! Quite a few of the immigrants were Scandinavian! 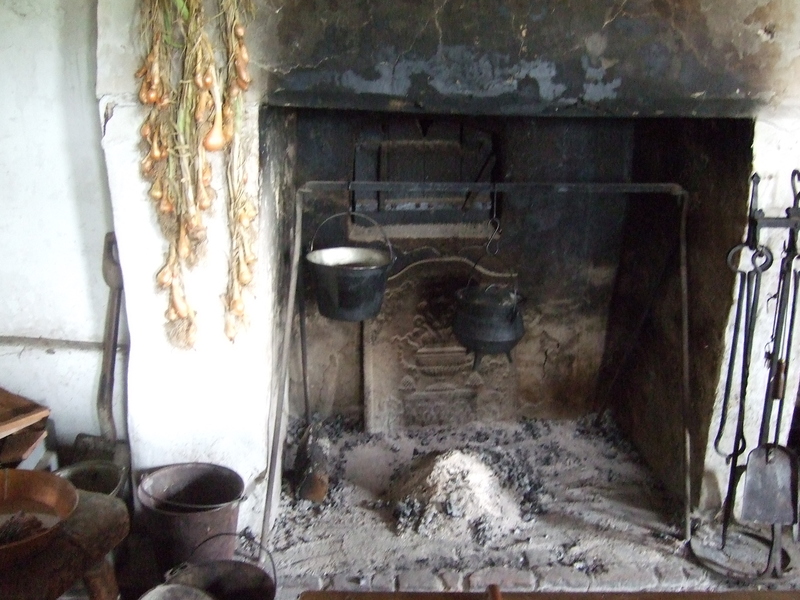 Two of the homes restored at Old World Wisconsin belonged to Norwegian immigrants, and the rosemaled artifacts in them inspired my first Chloe Ellefson mystery, Old World Murder. If you use the search function, you’ll find quite a few posts about rosemaling. I’m not a skilled painter, but I love the art! OK thx. I will explore and see what I can find on the site. My grandmother, who was a professional baker and born in a small Italian village, could stick her arm in the oven and tell when it was ready. She could tell when her baking was done without a timer. 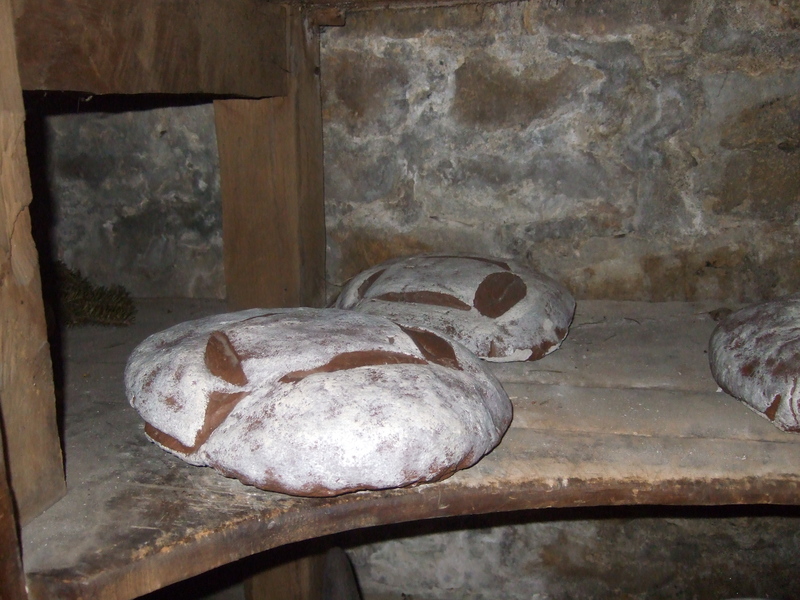 She used modern ovens with old techniques. She said it took 60 years to learn to do what she did and I shouldn’t expect to learn it in one day. I tried experimenting with WWI and WWII cooking and that took forever even with modern equipment. Women had more time since they didn’t have jobs outside the home or time wasters like TV and Internet to distract them. Women like your grandmother were such accomplished and intuitive cooks! 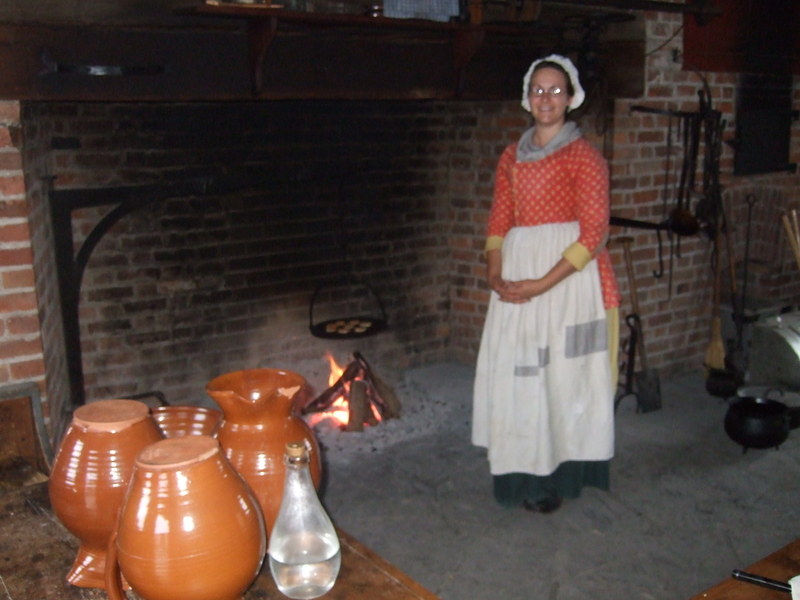 I think the best we living historians can do is emulate the women who had so much practice. Thanks for sharing!